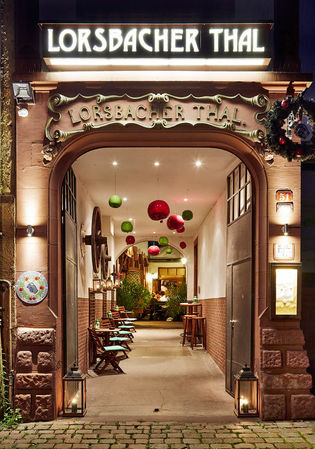 After an inspiring congress day, enjoy your evening at the Lorsbacher Thal in one of Frankfurt’s old town districts “Sachsenhausen”. Get to know the famous local cider during a cider tasting and savour traditional Hessian food. You will also be able to visit the intact Apfelwein (cider) cellars, which have been serving clients from its casks for well over 100 years. 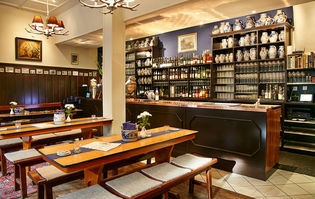 Transfer: Frankfurt’s Ebbelwei-Expreß will bring all participants to the restaurant. On the way you can enjoy a first-class view of different sights of Frankfurt. In addition, a guide will tell you some interesting stories while you can enjoy a glass of local cider. 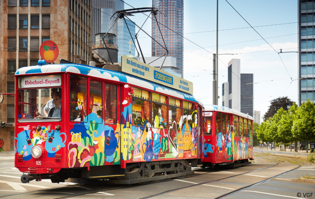 Travelling with Ebbelwei-Expreß is definitely one of the most charming ways to explore and discover the city. After dinner a bus will bring you back to the Radisson Blu Hotel Frankfurt.